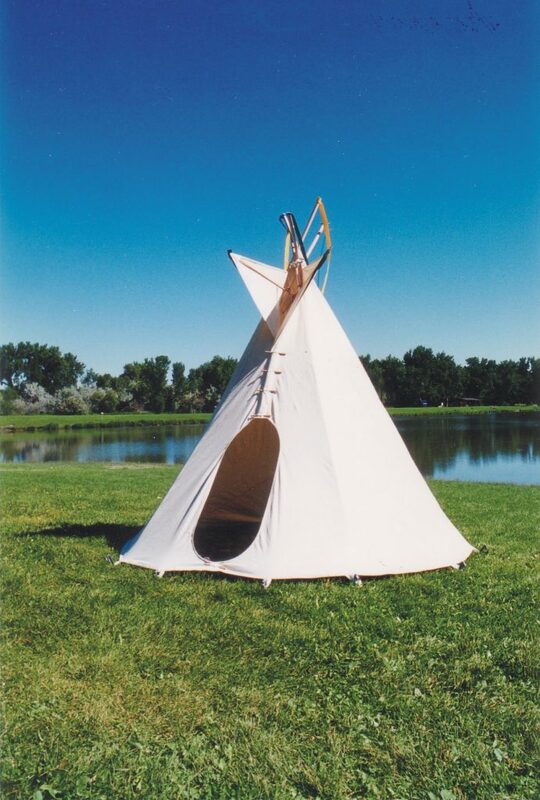 We are proud to be one of the few companies in the world that make authentic tipis. 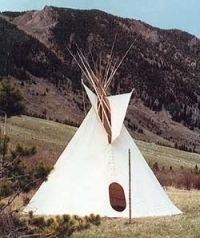 The Montana Indian culture is evidenced by the presence of seven reservations in our state, as well as by an annual international Indian fair in our area. 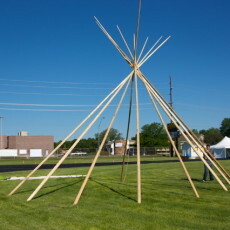 Our tipi designs are derived from their cultures. 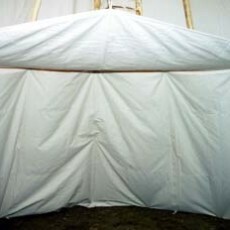 We have been providing canvas tipis to our local tribes for over 50 years, modifiying the patterns at their suggestion. 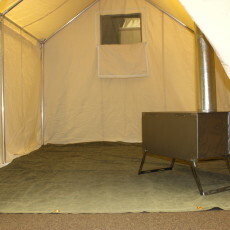 There is no other tent design superior to that of the tipi. 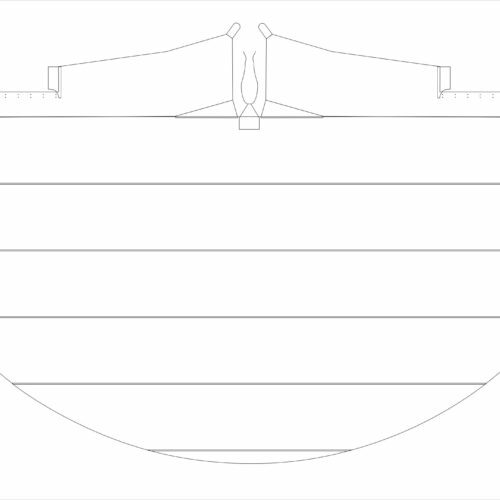 It is easy to pitch and provides plenty of room. 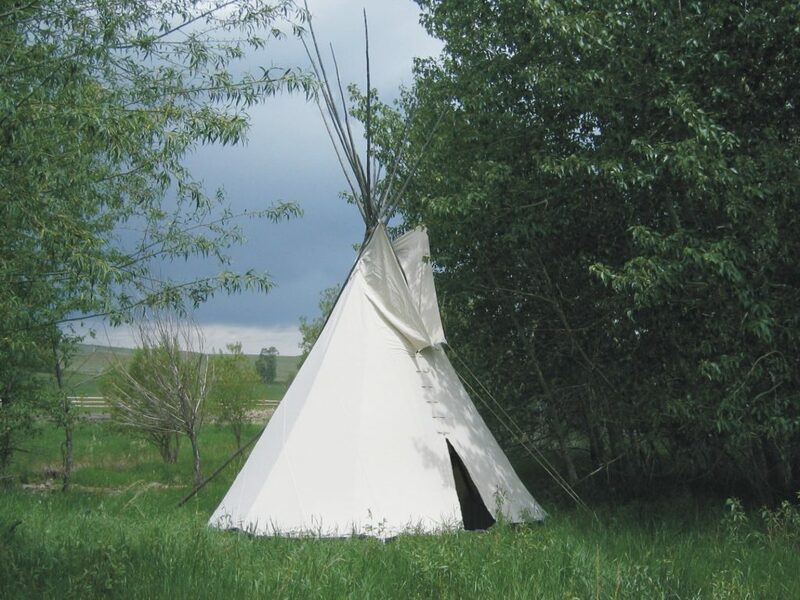 The Crow Indian Tipi is our standard design. 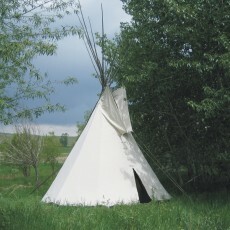 We also manufacture the Sioux Tipi and even make a unique Backyard Tipi for children. 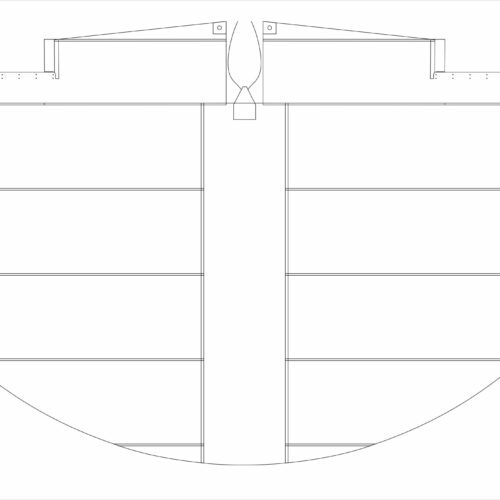 Please inquire if you have a special design in mind and we will try to build it for you.